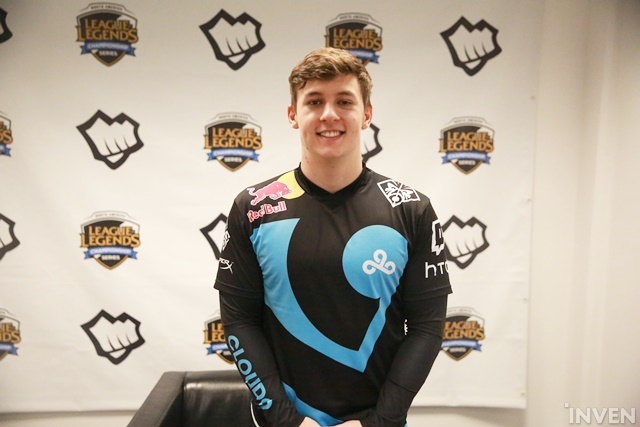 C9 Svenskeren: "Being put down to the academy was a right decision because I can improve on my own skill as a player." Svenskeren. A name that had disappeared for a while in the NA LCS scene, reappeared when Cloud9 most needed him. 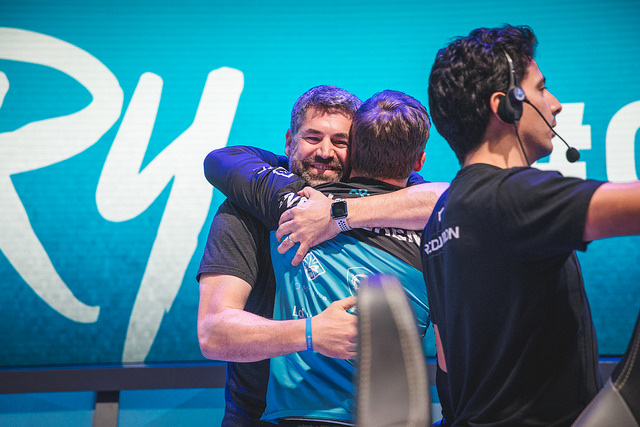 When he returned briefly against Team Liquid in week 8, he proved that he was LCS-worthy, and when C9 was cornered into a 1-2 deficit against TSM in the semifinals, he was there to save the team. Cloud9 defeated TSM 3-2 with the help of their 7-man roster and proceeded to the 2018 NA LCS Summer Split Finals. 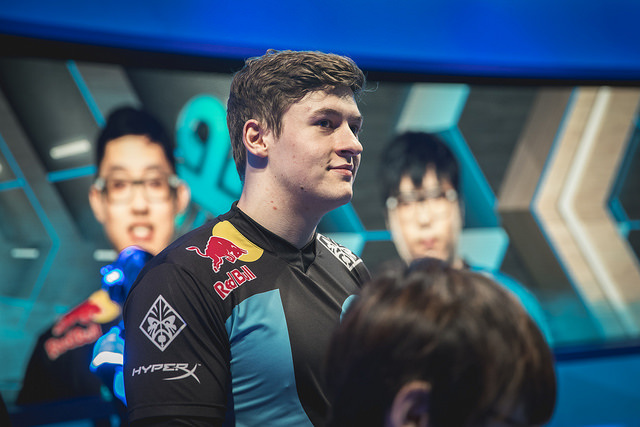 On the day before Cloud9’s triumph against TSM in the semifinals, Dennis “Svenskeren” Johnsen won a ‘World Championship’. It was the Academy Worlds 2018. 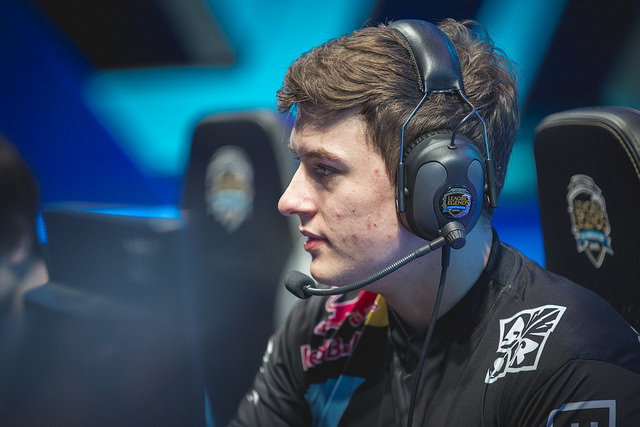 Svenskeren and Greyson “Goldenglue” Gilmer performed and led the C9 academy team to a 3-1 victory over Counter Logic Gaming Academy. It was only one day before the big semifinals against TSM; they warmed themselves up for the upcoming big match. 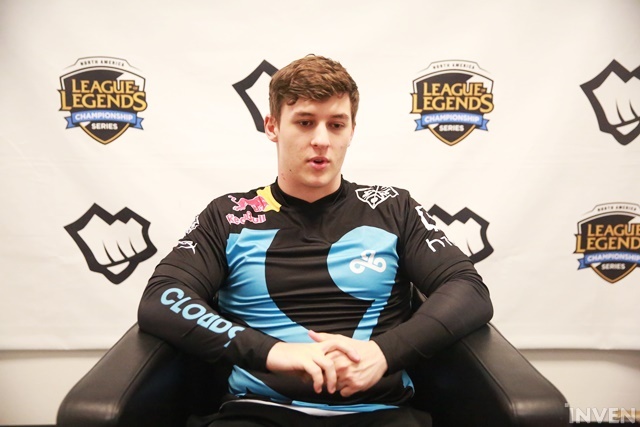 After Cloud9’s victory in the Academy Worlds, InvenGlobal sat down to have a chat with Svenskeren. Congratulations on winning Academy Worlds! How was today’s game? I think today’s game went alright. We tried to play a style that wasn’t really our strengths. The first game, we made a lot of mistakes. After the first game, we realized that the only playstyle they [CLG Academy] were good at was five-man-mid. They didn’t care about sidewaves at all. So we just had to be more disciplined around the timings and it was a pretty easy game after that. Did today’s game go as expected? Yeah, mostly it did. I think it went kind of like how I thought it would. I thought we’d win game 1 and lose game 2 or something like that but mostly went as I expected. You’re a very experienced player, so you have to be the leader in the Academy team. How is it to lead the players that lack experience? I definitely have to be one of the main voices in the game. Going into game 1, I let the players pick whatever they want to pick, and our coach wanted the team to pick. After game 1, I started to speak up on what we need to do better. I said that we should just go for a strong 5v5 because we’re not very good at executing playing sidelanes. Once when we were able to get the stronger 5v5, or at least a decent 5v5, we could just roll over them. I guess the strengths I gave was being calm and the ability to adapt between games on what we should improve on. Do you have any pressure needing to lead the Academy players? I don’t think I was under that much pressure in the Academy games, because the opponents aren’t as good so they don’t really punish us that much. I can kind of do whatever I want to do. Our team isn’t that strict in terms of needing to get vision or timing specific waves and stuff like that. I can kind of get away with farming a lot more because the opponent teams don’t really pressure that much. I just get ahead every game. I guess in the academy games, I can get more selfish and my team will truly trust me to play well and get leads, so not really much pressure. Isn’t it a lot different playing in the Academy team and playing in the LCS. Games for the Academy are just played online. How is it different? Going from playing online matches to playing onstage, it’s a lot more different because onstage, people tend to get scared of failing more. But online, it’s more calm because we’re just playing at our home where we scrim all the time; we play solo queue there, so it kind of feels more like we’re just in a solo queue match; you contest your limits a little more. I think one of the strengths, a lot of the rookie stuff, if they don’t care too much about the pressure or don’t really second-guess themselves, the opponent might not respect it. 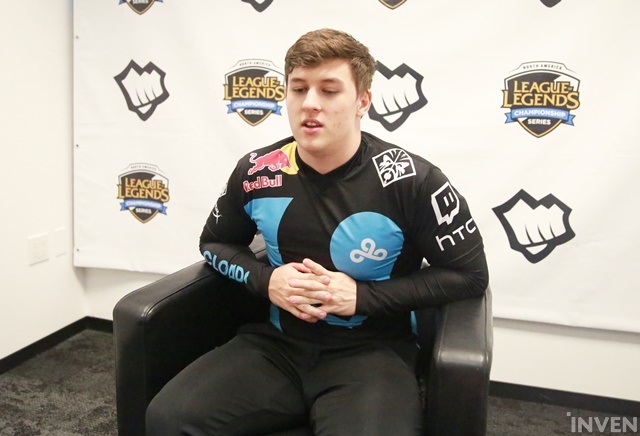 A good example is Blaberfish, like Blaber, the C9 main jungler right now, he plays very aggressive, and every team is kind of scared; they’re backing off, and if you’re backing off, you’re going to lose the fight. They think he has a lot more backup then he actually does. So he just goes in, and they’re like “Oh, sh**! He’s coming at us! We need to run!” A good example is like that. If a lot of people play like that on stage, the games will be more fun to watch too. Were there any players that stand out in the academy teams? Umm… I don’t really think there was anyone in the opponent teams that were standing out; obviously, Wiggily was alright… Other than that, I think just my teammates were super well. I think Goldenglue is super good for academy, Keith as well; all these players on my team don’t really belong in academy. So just playing all our games felt pretty easy. How do you think your match against TSM will be tomorrow? I think our match against TSM is definitely going to be hard. I don’t know if I’ll be playing or not; Goldenglue and I have been practicing with the main team too, but it’s really going to depend on how Blaber and Jensen perform. If they do well, we’re just going to be watching the games. We’re going to be there for the matches to improve between the games; I’ll keep track of whatever Grig is doing and I’ll tell Blaber so that he can improve in the next game. By us watching the game, hopefully, it can be more beneficial for the best of 5, because I have more jungle experience than whoever will be watching the game on TSM, and Goldenglue has more mid lane experience, so we should be able to look at what they’re doing and what we could punish, but definitely, it’s going to be a tough matchup. TSM has been like the wall that always stops C9 in the playoffs for the past few years. You were on that other side before, but you’re now on C9 playing against TSM in the playoffs. How does that feel? When I was at TSM, we always beat C9 in the playoffs. There were three times when I was in TSM that we beat C9. I think it would be definitely cool if C9 could get revenge on TSM now. I think we can actually do it this time. I hope we can do good against TSM. When you first went down to academy, I would think that you were discontent. How did you feel then, and how did you overcome that? When I first got moved down, I was pretty mad or stressed out about it because I didn’t really feel like it was my fault that we were losing all the games in LCS. When we were losing, we got a lot of big leads in the early game. We got huge leads every game, but we just didn’t know how to close the games. I got pretty frustrated that all the blame was on me. But I think being put down to the academy was a right decision because I can improve on my own skill as a player regarding individual skills. I’m happy that the main team was doing well and if I can help them do better by getting improved or even playing a few games, I’m just happy to do whatever the LCS team needs. I’m trying to be there for them. While I was in academy, I tried to learn what I was lacking when I was in the LCS. I was always the starter on LCS so I never really thought about getting moved down really because it was always kind of my spot. I’ve never been part of having two people in one position before, and I think it’s working pretty well this time. It’s a lot more motivation because you want to outperform your counterpart. It just motivates both Blaber and me to become better and better. I think it’s a pretty good system. How many scrims do you divide among yourselves; what’s the ratio, Blaber and you? In the last few weeks, for the playoffs practice, Goldenglue and I were playing night sets. We were playing two to three games a day while the others were playing four-five. We’ve been practicing for the academy games so we played after we were done with academy scrims. So we play like 35% and they [Blaber and Jensen] play the rest. The mid-jungle synergy is always really important. Your synergy with Goldenglue must be really good now. He’s really good at talking; he makes the communication super easy because he just keeps talking about his lane. I always know if he has priority or if the enemy mid has priority. And usually, for a jungler to do much, you kind of have to have mid priority. He really makes it easier for me to not die stupidly. Just a side question: how’s the new Nunu? Have you played it? (Laughs) Yeah, I’ve played the NewNunu a few games when it came out. It’s super fun to play. His lane ganks are pretty insane. You just start to snowball and just roll it down a lane. Do you think he’s going to see pro play soon? Oh yeah. I think he’s going to see pro play. His kit is pretty good; he has a lot of CC, and just the ability to start fights as easily as he does is pretty good. Jack was here again today. I always ask this to C9 players. It seems that he has a really close relationship with the players. How is it? Jack is kind of like the C9 dad. He’s always there supporting us all. He works from the scrimming house too, so we see him every day. I think everybody has a good relationship with him because he’s always so supportive and always there to cheer for us. Any last comments to the fans? I want to say thanks to the fans who support me from my move from the LCS to the academy, and maybe back to LCS again. Thank you.